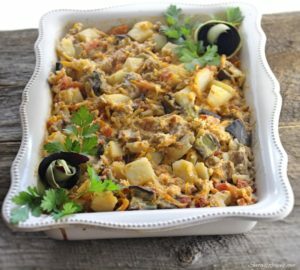 This recipe taste great and is pretty fast to make. It includes a variety of vitamins and is very recommended. 1.) Start off by washing and drying your vegetables. 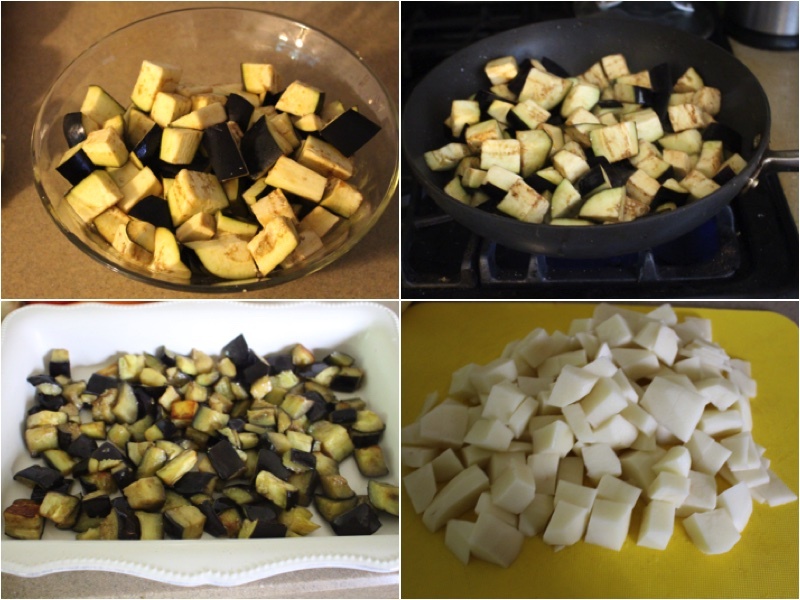 Next dice your eggplant, place it in a bowl, add salt and let it sit for 10 minutes. After fry them in a hot oiled skillet for 5 minutes and also place it in your baking pan. Also dice your potatoes. 2.) Likewise fry your potatoes in the same skillet for 5 minutes. After chop up your tomatoes, onions and carrots. Place your potatoes above the egg plants. Also add your grounded pork onto your sliced potatoes. 3.) Also place your tomatoes, onions and sliced carrots onto your grounded pork. After add seasoning and mix well. 4.) 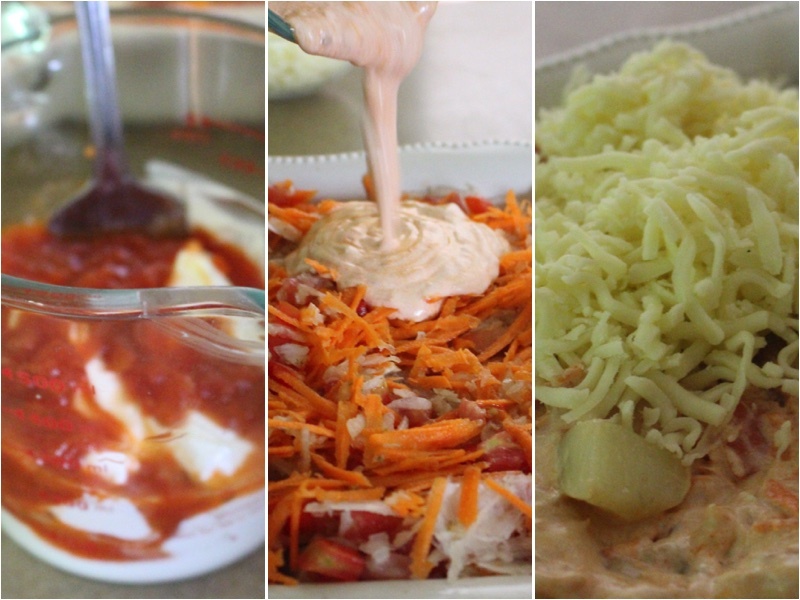 In a mixing cup add your sour cream, tomato sauce, mix well and pour it over your vegetables. Spread your mixture and add your cheese + mix well. Cover it with tin foil and bake for 1 hour on 375oF. After enjoy your meal! Start off by washing and drying your vegetables. Next dice your eggplant, place it in a bowl, add salt and let it sit for 10 minutes. After fry them in a hot oiled skillet for 5 minutes and also place it in your baking pan. Also dice your potatoes. Likewise fry your potatoes in the same skillet for 5 minutes. After chop up your tomatoes, onions and carrots. Place your potatoes above the egg plants. 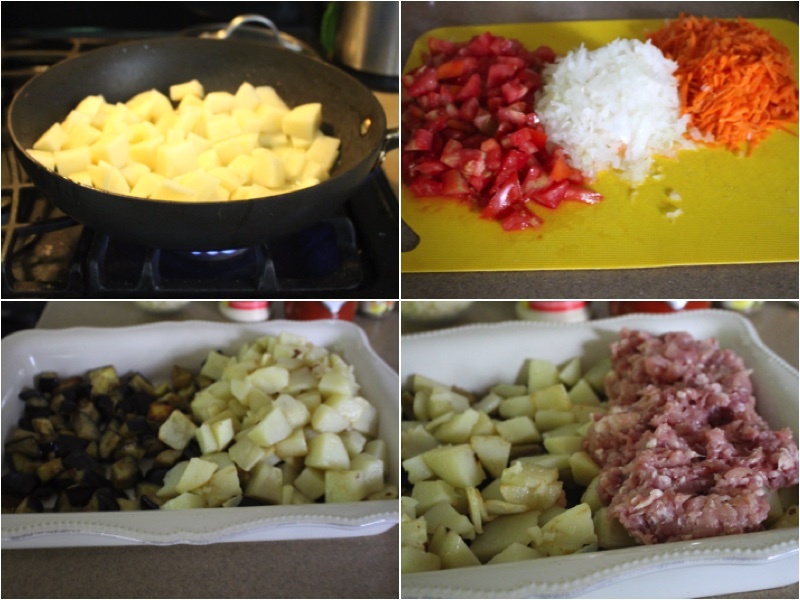 Also add your grounded pork onto your sliced potatoes. 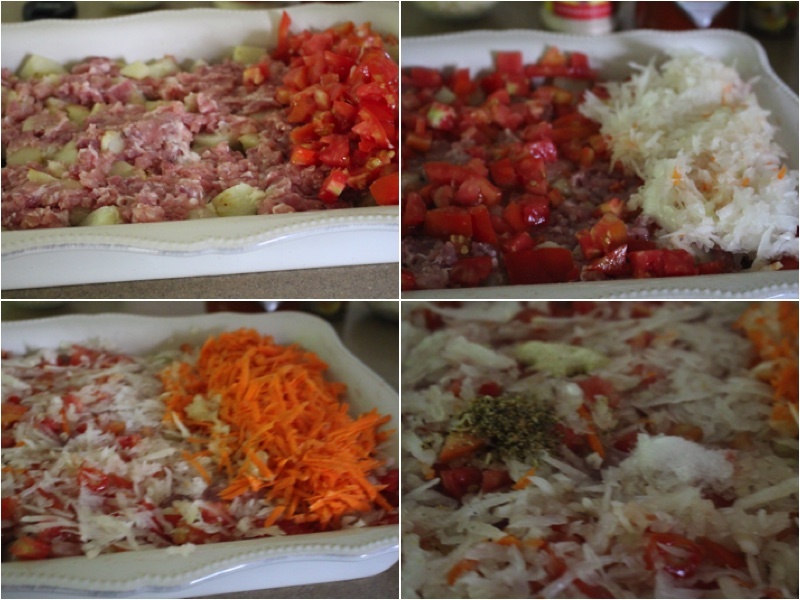 Also place your tomatoes, onions and sliced carrots onto your grounded pork. After add seasoning and mix well. 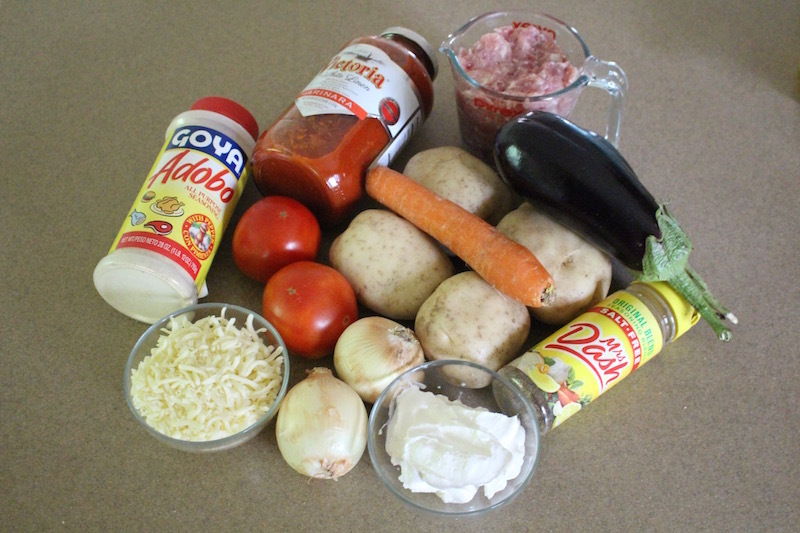 In a mixing cup add your sour cream, tomato sauce, mix well and pour it over your vegetables. Spread your mixture and add your cheese + mix well. Cover it with tin foil and bake for 1 hour on 375oF. After enjoy your meal!